There is a sure-fire way to enhance the beauty of your Toronto home without actually having to change much: replace your entry door! Believe it or not, the entry door of your home sets the overall tone and look for everything else—especially guests. Sidelights are those beautiful windows you see flanking the entry door. They’re added for vertical emphasis and are usually narrow, stationary, and immediately adjacent to the door. Sometimes, there is one running the length of the door, and sometimes there are two—both options are stunning. A single door with sidelights adds a special touch to a door that would, otherwise, appear less grand. For a unique, craftsman look—this is a fantastic option! This has been the most desired entry door style for generations. There is just something so regal, so authoritative, so stately about two doors in your entryway. These are particularly popular in suburban settings. Consider solid wood doors to add elegance and drama to your entry space. They are stunning! Again, the double doors are so beautiful. Imagine your entryway with two mahogany doors and a curved archway with decorative transom windows above the doors, drawing the eyes upward and shining natural light into your interior space. Beautiful, right? Classic entry doors often feature raised panels and glass inserts with clear, frosted, or coloured panes. This style typically comes in fiberglass with a wood look, but not always. A traditional style entry door is especially helpful to homeowners looking to achieve a versatile design. These are becoming hugely popular in all types of homes. The “craftsman style” is a hardy looking door. It can come in fiberglass or wrought-iron and usually features straight lines with a “shaker” look. This door could have a single window at the top with outlined panes or a large glass insert for a larger view of the outdoors. These days, everything is coined “modern.” But, what makes an entry door a “modern” one? Imagine straight, sleek lines with blocked and raised panels. Some modern entry doors may include frosted glass and large hardware. Overall, this entry door style is simplistic and minimalistic in detail. What’s your favorite entry door style? For more ideas, we invite you to come visit us here in Brock Doors and Windows! We can’t wait to show you around and discuss your customization ideas. 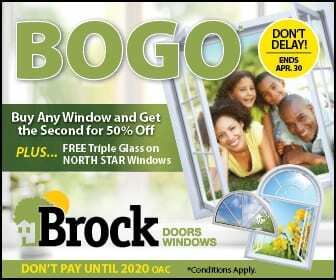 Just think about how beautiful and inviting your entryway can and will be with one of our quality doors here at Brock. We hope to see you soon!